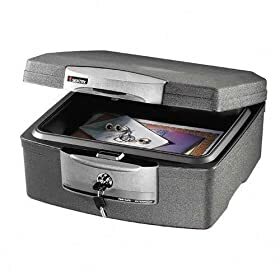 Keep copies of important records such as site maps, building plans, insurance policies, contact and identification records, computer backups and other priority documents in a waterproof, fireproof portable container. Click here to see more details on Amazon. Remember: This is just a suggestion, make sure you research this for your personal/family needs. Have an ID, photo & birth certificates for each person. Have insurance papers, bank records, living wills, trusts, maps, addresses & phone numbers, etc., and place them in a water-proof receptacle.